The first step in any mold investigation is a visual inspection of the building and documentation of the area(s) covered by visible mold growth. This requires the ability to recognize mold growth as opposed to dirt, stains or other discolorations. mold investigators sometimes come across discolorations or stains that they suspect to be mold growth, only to receive a report from the lab indicating there was no mold growth. 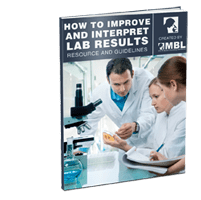 The online course, Mold Inspection, Identification and Control can help you master indoor mold investigation and laboratory results interpretation. Commonly, black discolorations on insulation material and wood can be difficult to distinguish from mold. Similarly if the mold has matured and degenerated, it is difficult to recognize since it rubs off the surface leaving only stained spots or patches. Growth of some groups of molds is easy to recognize and even to tell the genus of the mold involved. For instance mold growth on this ceiling wood (see the picture on the left) would not be difficult to recognize and even to suspect that it is a Penicillium. Generally, the growth pattern of the mold and the colony surface texture determines whether it would be easy to recognize or not. Growth of molds that lack aerial mycelia and have fine texture would be difficult to recognize by unaided eye. It would also be difficult to recognize mold growth if the colour of the surface on which the mold is growing is similar to that of the mold or if the mold is not pigmented. How do we tell if it is mold growth? Are conditions suitable for mold growth present? For mold growth to occur there should be a nutrient source, moisture and suitable temperature. So, the first step would be to determine if the material being investigated for mold growth is biodegradable and its moisture content. In indoor environment, the temperature is always within the range required by environmental molds. Events that would be indicative of mold growth include water leaks, floods, high humidity and poor ventilation. Water-damaged drywall, wood materials, jute, wallpaper, and cardboard are prone to mold growth when damp. mold growth tends to follow the pattern of water condensation or leak. In cases where water damage is not obvious use of a humidity sensor and a moisture meter is recommended. Both active and inactive mold can produce volatile organic compounds which may have distinctive smell commonly described as musty or earthy. Such smells are therefore suggestive of mold growth. mycelia or mold growth readily visible to the unaided eye as blue green, bluish, yellowish, greyish, black, white or other shades of these colours. With some molds, the observed colour is actually the colour of the spores. Colour together with texture would more or less confirm mold growth. Although it is possible to have one dominant mold, often different groups of molds grow together giving a variegated surface appearance. discoloration or spotting on surfaces. As the mold grows on the material it produces enzymes for breaking down the material for easy absorption. Some molds also produce pigmented compounds that stain the surface on which the mold is growing. Irregular stains may be an indication of mold growth. Aureobasidium pullulans, Sclerophoma pithyophila, Cladosporium spp may cause black or black-blue stains on wood. The fruit-bodies and possibly dark coloured hyphae of the molds may be present. water stains. Water stains are an indication of water problem and hence the possibility of mold growth. damage to surfaces. Peeling or curling of vinyl floors, wallpaper or paint. mold (and other microorganisms) will cause structural damage to the material it is growing on. Damage may not be obvious depending on the material and the length of time the material has been infested by the mold. In some cases mold growth is obvious and may not require further confirmation. To confirm whether those coloured spots, patches or stains are mold growth or not, a magnifying glass can help to see the mold structures and for some groups even to tell the genus. An investigator should have a magnifying glass in their tool kit for mold investigation. Then proper mold testing and analysis can be conducted. Appearance and texture. Molds form colonies that will most often appear as fluffy, velvety or hairy spots or patches of various colours. This is easily observed with species of Penicillium, Aspergillus, and Cladosporium growing on surfaces of plaster, wall paper, paint, damp wood, carpets and other floor coverings. Actively growing mold in the early stages of growth has hair-like extensively branching filaments (hyphae), which develop a more hairy appearance as the mold matures. This can easily be seen under a magnifying glass or a portable handheld microscope. Actively growing mold may be soft, slimy, and damp and may smear when touched. Inactive or dead mold is dry, appears powdery and rubs off the surface easily subsequently becoming airborne. If one presses a sticky tape on the suspicious surface, mold should easily stick to the tape unless the surface is wet. Fruiting structures. Fruiting structures not only confirms that the spots are mold but would also help the investigator (if they have a strong background in mycology) to know which taxonomic group the dominant mold belongs to. Salts and minerals leaching out of concrete basements or walls form a white, powdery crystals called efflorescence. Sometimes it may be difficult to visually distinguish between efflorescence and mold. However, since efflorescence is caused by water problem there are chances of mold growth too. The easiest way to distinguish mold from efflorescence is to put some of the stuff into a drop of water. If it dissolves, it is not mold. Also, since efflorescence is crystallized salts, it breaks into a very fine powder if squeezed between fingers. Gravesen S, Nielsen PA, Iversen R, Nielsen KF. (1999). Microfungal Contamination of Damp Buildings–Examples of Risk Constructions and Risk Materials. Environmental Health Perspectives, Supplements Volume 107, Suppl 3:505-8. Sedlbauer, K., (2002): Prediction of mold fungus formation on the surface of and inside building components. Doctoral Dissertation, Fraunhofer Institute for Building Physics.